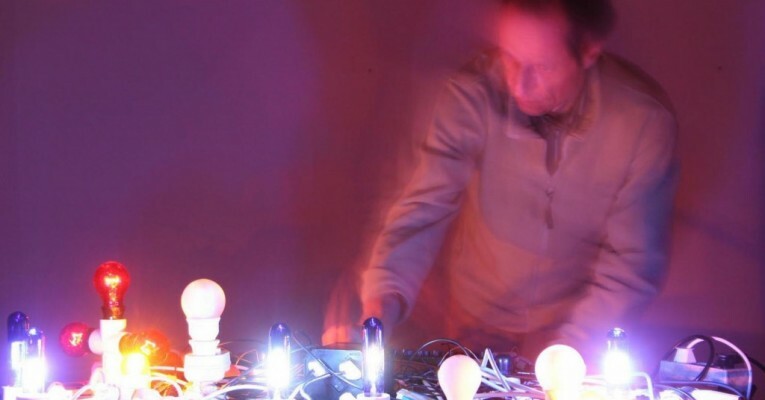 Michael Vorfeld, musician and visual artist, based in Berlin, plays percussion and self designed stringed instruments and realises electro-acoustic sound pieces. He works in the field of experimental, improvised music and sound art and is often involved in site-specific art projects. He realises installations and performances with light, works with photography and film. Besides his solo activities he is a member of various ensembles and collaborates with artists from different art forms. His list of activities includes numerous concerts, performances and exhibitions in Europe, America, Asia and Australia.